Camfed - Mma Ramotswe Rules! I don't know about other countries, but Camfed is next to unknown in Australia. We hunted hard for a suitable charity that matched this site's Mma Ramotswe theme. We then checked them out in relation to a number of matters. For example, the proportion of income spent on the charity's programs, as opposed to all the administrative costs. Some well known charities spend up to 30-40% on administration. Camfed spends less than 10%. This is genuinely remarkable, considering the charity operates out of England. Not, we hasten to write, that the English are more prone to ripping off those who donate to the charity, but that costs are high in any major industrialised country. Another matter of concern was, of course, the types of program undertaken by the charity, and the ways they implement them. It is, sadly, not at all unknown to us via various means for non-government organisations, principally charities, to undertake a number of practices about which the NGO's possibly not totally open. For example, some charities collect money for a specific charitable purpose that is a front for them proselytising their religion. Others go into action in a superior and patronising manner, giving charity that's often misdirected, not what is most needed, or is completely inappropriate for the people concerned. The activities of these mobs are often all about a form of advertising, and when a particular cause falls off the front pages of the "West's" papers, they drop whatever they're doing and the people they're ostensibly doing it for, to rush off to the place that's most likely to keep them in the public eye. Even the United Nations is very far from free of these issues. Other extremely famous charities and the names behind them put conditions on their charity. If whoever is responsible doesn't agree, they take their charity elsewhere. While some conditions may well be acceptable, such as spending money on educating people to wash their hands after going to the toilet, others are far from acceptable. For example, forcing a country's farmers to buy a specific company's seeds at prices the farmers are often unable to afford. Camfed, however, is not part of this codswallop. It provides advice, consults with the local communities, and involves the locals in management and decision-making processes as an essential part of the project. And Camfed doesn't drop those who benefit from its charity. It provides on-going support and encouragement long after the girls, now women, of course, leave school. What follows is just a taster of Camfed's background. Camfed has developed a governance model to deliver girls’ education in impoverished rural communities in sub-Saharan Africa. ... Camfed asked us to study its governance model, place it under scrutiny and report on it. In our view, Camfed’s governance model works for two principal reasons. First, it requires Camfed to render account to the girls it supports – much as good governance for corporations and financial institutions, and their regulators, requires those entities to account to their shareholders, investors or consumers. Indeed, Camfed maintains that it owes the children on whose behalf it acts a duty of care equivalent to that which lawyers andother professionals owe their clients. the power and responsibility to run the programs. It is this opportunity which enables communities to become capable, over the long term, of better supporting their children and themselves, through the practice of good governance. Given Camfed’s achievements, it is conceivable that Camfed’s governance model – which appears to us to be scalable and replicable in various contexts – could serve as a model for the international development sector whenever the sector is devising programs to diminish poverty and disempowerment around the globe. 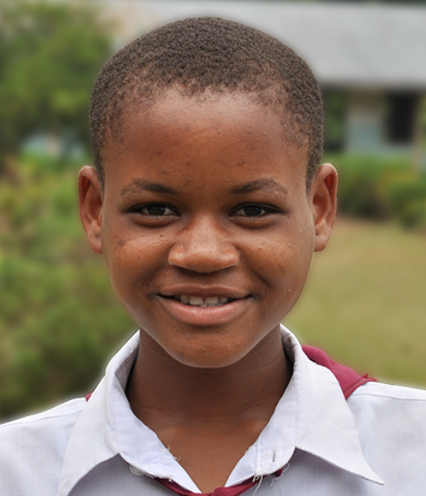 Salin (Zambia) was orphaned after losing her parents just one year apart. She now lives with her eldest sister in a house shared with her other siblings and cousins. Altogether, there are 11 people living in their modest house. Salin’s sister struggles to meet the needs of all the younger children by herself. 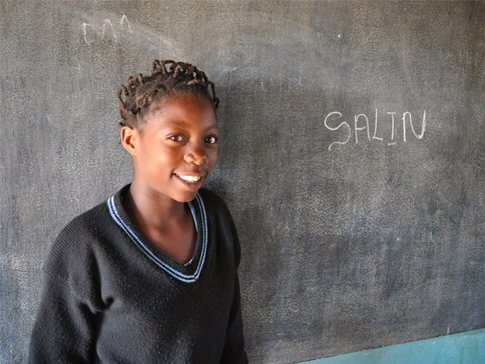 Salin has watched other siblings drop out of school because their tuition could not be paid. Before receiving the news last year that she would receive support from Camfed, Salin thought this might be her fate too. Salin is determined to make the most of the opportunity she’s been given. When she arrives home after school, she quickly finishes her chores. In the evening, she has her only meal of the day – usually just sweet potatoes that her sister has brought from the field. But her favorite meal is chicken and milk. After dinner, she begins her homework. And when the sun goes down, she reads by candlelight. Husna, on the right, says she was "released" by her boss. This doesn't mean she was "enslaved" in the way we usually associate with that fearsome word, or formally imprisoned. We're not 100% sure, but this "release"usage raises the probability of "bonded employment", the slavery a person suffers when traditional slavery has been outlawed. If so, it's lucky Husna had a kind boss. But we wonder what might have happened if the boss had refused! When Husna was 12, she'd just completed primary school and was a full-time housemaid in Morogoro while awaiting her test scores. Her grandmother was caring for her and her siblings while her mother struggled to earn a living in Dar Es Salaam. Recognizing the impact an education can make in the lives of other young girls, Husna plans to become a teacher. Even with school fees paid, courageous girls like Chikondi (on the right, from Malawi) still face obstacles in completing their education. Walking long distances to school endangers their safety and puts them at risk of dropping out. Muddy roads brought on by the rainy season can lead to absenteeism, and ultimately impact academic performance. Although Camfed doesn't operate in Botswana, because so many other countries are far more needy, it does its bit for future African Mma Ramotswes and Mma Makutsis. The latter, especially, achieved great things by battling through the education system. And the reality is, long-term improvement in poverty-stricken countries is very largely dependent on girls' education, more than anything else. Camfed's programs focus on sub-Saharan Africa, particularly Zimbabwe, Zambia, Ghana, Tanzania, and Malawi, tackling poverty and inequality by supporting girls to succeed through school, empowering them to step up as change leaders. Investing in girls and women from some of the poorest rural communities in the world, Camfed is tackling major causes of poverty and inequality. Camfed's help supports girls, who generally drop out of school first, and are the first the system fails, facing high risk futures future: early marriage, early pregnancy, and HIV/AIDS. Educated girls are one third less likely to contract HIV/AIDS, likely to earn 25% more income than uneducated women, and have smaller, healthier families. Committees of local people, including parents,teachers, education and other government officials, police, community leaders, and so on carry out all Camfed's African work. Camfed's programs are completely transparent, audited at every level, and answerable primarily to each individual supported girl. If they need new shoes, lose a piece of uniform, require sanitary products, or must purchase books, pens, and the like, the program responds quickly to meet whatever is the need. Where possible, it must get there before the need arises. Alice grew up in rural Zambia, helping her hard-working widowed mother of ten by selling cassava leaves and working as a maid to help buy food and school supplies. There was never enough money. Often, the family subsisted on just one meal per day. At 14, Alice had to drop out of school because the family could no longer afford her school going costs. This is when girls in rural communities are at great risk of child marriage, often seen as the only way to secure their future. But Alice’s life was transformed when the School Based Committee at Camfed’s local partner secondary school in Samfya noted her absence and selected her to receive a Camfed scholarship. The support allowed her to complete secondary school and join Camfed’s pan-African CAMA alumnae network of young women leaders. Through CAMA, Alice became a trainer in financial literacy and entrepreneurship.